Backed by a group of adroit workers, we are involved in supplying a wide series of Heat Shrink Sleeve. These are manufactured using latest technology and best class raw material in accordance with set market norms. To meet the global quality standards, this is strictly tested by our members of quality controllers under various quality values. Customers can buy this product in different specifications as per their requirements. 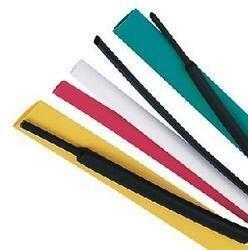 Looking for Heat Shrink Sleeve ?